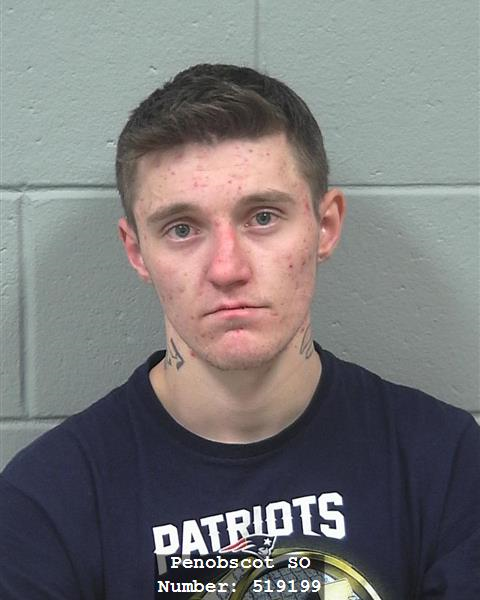 A 22-year-old man has been transported to a Bangor hospital after he stole a Dexter police cruiser Friday afternoon. Tibbets was arrested Friday morning on outstanding warrants. At approximately 11:29 a.m., police say that Tyler Tibbets, 22, stole a fully-marked White Ford Explorer Cruiser while he was still in handcuffs. The cruiser was found abandoned in Garland, east of Dexter, around 1:15 p.m., but Tibbets remained at large. "He had been handcuffed behind his back and somehow when the officers weren't looking, he had contorted himself enough to get the handcuffs in front of him, got out of the cruiser, into a second one, and then stole it," said police spokesperson Stephen McCausland. Shortly after 2 p.m., police say they spotted Tibbetts in another vehicle, but that he refused to stop. Officers pursued him in a high-speed chase through Dover, which ended when Tibbetts crashed into some woods off Route 15 in Corinth. Tibbetts sustained serious injuries in the crash, and was transported to a Bangor hospital by LifeFlight helicopter. This story was originally published at 1:16 p.m. and will be updated.